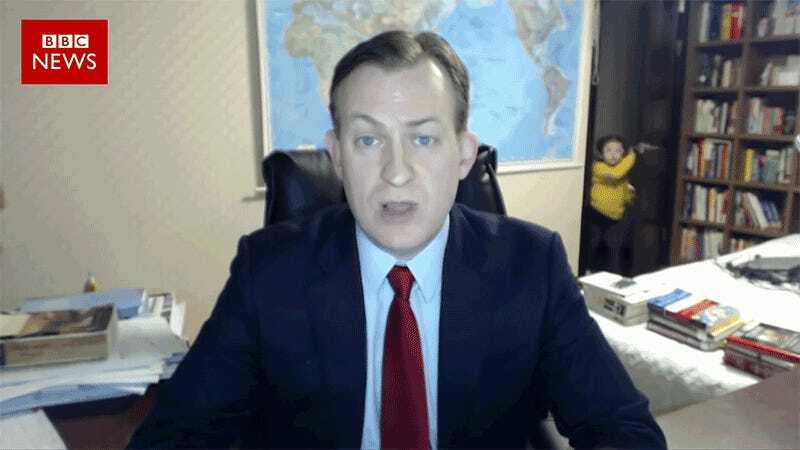 Back in March, Robert Kelly’s kids became overnight viral sensations when his daughter Mina and son Jack burst into his office while he was doing a Skype interview with the BBC. If you thought at the time that power-walking Mina and rolling Jack should have their own show, I’ve got some great news for you—Mina and Jack are the stars of a new animated series on YouTube. “We saw the original clip, and felt there must be a way to extend this magical moment into a longer form,” said Jarryd Mandy, one of the producers of the show, The Adventures of Mina and Jack. Mandy and his partner Lauren Martin approached Kelly and his family about the animated series and teamed up with a studio called Raxo for the animation. “We originally wanted to do a children’s book, but the barriers to entry and time to market were a lot longer—despite it being a less manual task than creating an animation,” said Mandy. In the series, Mina is a non-nonsense kid who solves mysteries while Jack scoots around behind her. And while I’m certainly no expert on kids’ entertainment, it looks pretty adorable to me. The only disappointing part is that the series isn’t voiced by the real Mina and Jack. Robert Kelly (aka Viral BBC Dad™) told me over email that the producers weren’t the first to approach them about using their images for commercial purposes. “We have received lots of solicitations, but much of it has been flim-flam, scamming, or otherwise fallen through,” said Kelly. The series only exists on YouTube for now, but they’re trying to get the word out with the hopes that it might get picked up by a network. For what it’s worth, the producers didn’t approach me about the show. I emailed them because I follow Kelly on Twitter (he’s an expert on Korean geopolitics) and I saw his retweet about the show. “We’re still pitching to networks, but the industry still has an old-school model and formula for how they envision kids shows to be. What we’re trying to do is combine great animation, global topical references, amazing music and sound tracks, cute humor and endearing female led characters to shake the model up a bit,” said Mandy. 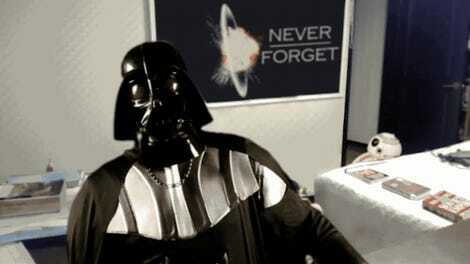 So if you like the show, share it with your friends. And if you don’t like the show, I guess you can write a Hot Take™ about the Kelly family. Lord knows we don’t have enough of those yet. You can follow Mina and Jack on Facebook, Twitter, and watch the show on YouTube.